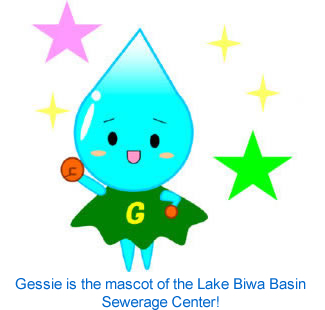 As part of measures to conserve the water environment of Lake Biwa, installation of sewerage systems, rural community sewerage systems, combined septic tanks and other domestic wastewater treatment facilities have been advanced especially rapidly. 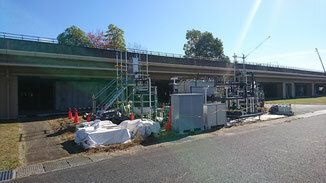 Regarding sewerage systems, in particular, phosphorus content and nitrogen content, which cause eutrophication, are removed by advanced treatment at all sewage treatment plants in Shiga Prefecture, contributing significantly to reducing water pollution by domestic waste water. 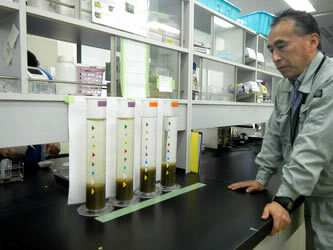 At the four Shiga prefectural sewage treatment plants, particularly, world-class level sewage treatment is achieved by a mix of advanced treatment, sludge treatment, and energy-saving facilities introduced in cooperation with national and other research institutes, companies, and other organizations. 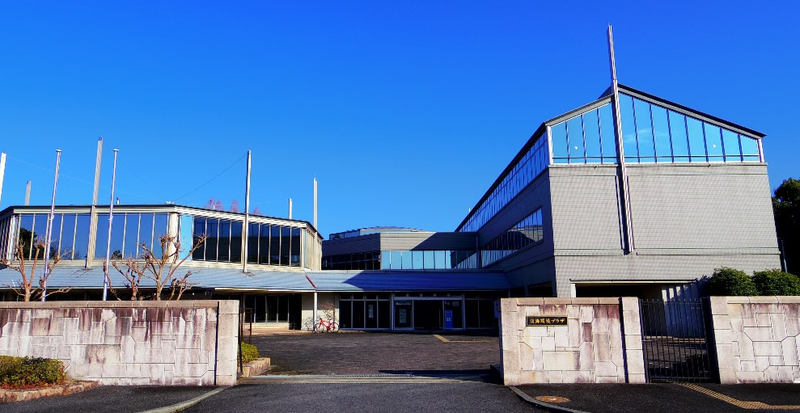 Through sewage treatment plant operations up to now, advanced experience and technologies have been accumulated by the Shiga prefectural government and sewage-related companies in the prefecture. Against the background of the accumulated experience and technologies, Ohmi Environmental Plaza was established in April 2013 with the aim of achieving further efficient sewage treatment, handing down the experience and technologies, helping overseas countries with water environment conservation, and revitalizing the local economy by providing support for private companies and others in their water environment business. The plaza provides support for new technology development by joint studies, etc., and offers information for spreading new technologies through various channels and tools. We provide support for companies and other organizations in developing sewerage treatment-related technologies. 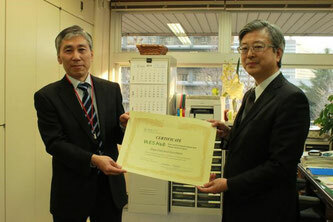 We conduct joint studies for the purpose of developing technologies for solving problems faced by Shiga Prefecture. We offer venues for demonstration experiments, etc. (e.g. dedicated fields in the Konan-Chubu Wastewater Treatment Plant). We offer sewage water, sludge, etc. as research samples. We offer information on development results of new technologies related to the water environment, including sewerage treatment. 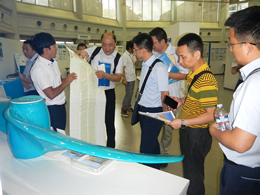 To publicize information on technologies for advancement, efficiency enhancement and energy savings in sewerage treatment, and reduction of environmental burdens; and results of new technology development related to the water environment, we display exhibits that introduce new technologies, products, research results, etc. of companies and other organizations in the Exhibition Room on the first floor of Ohmi Environmental Plaza. 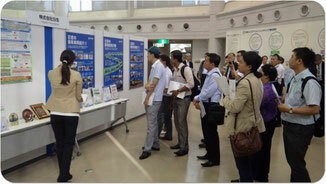 We offer information to visitors to Ohmi Environmental Plaza from Japan and abroad, for example, by introducing information on technologies exhibited at the Plaza to those joining the water environment business seminars held by the Plaza or those joining the tours and seminars in overseas projects promoted by Shiga Prefecture. 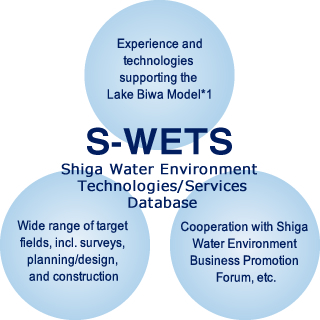 Shiga Water Environment Technologies and Services Database (S-WETS) is a tool for offering information on technologies and services related to the water environment, including sewerage treatment. S-WETS compiles and organizes information on technologies and expertise developed and accumulated by companies, universities, and government offices in Shiga Prefecture. S-WETS is a tool for providing support for international business expansion through the internet. We raise awareness about the structure and importance of sewerage systems, and promote appropriate use of sewerage systems..
We hold events for raising awareness about sewerage systems, including sewerage plant tours. We publish the PR brochure "Blue Lake" twice a year. We provide expert support for appropriate operational management and water quality management at sewerage treatment facilities. We manage and evaluate the quality of treated water, etc. We give advice on the operation of sewerage treatment facilities. We provide technical support for public waters. 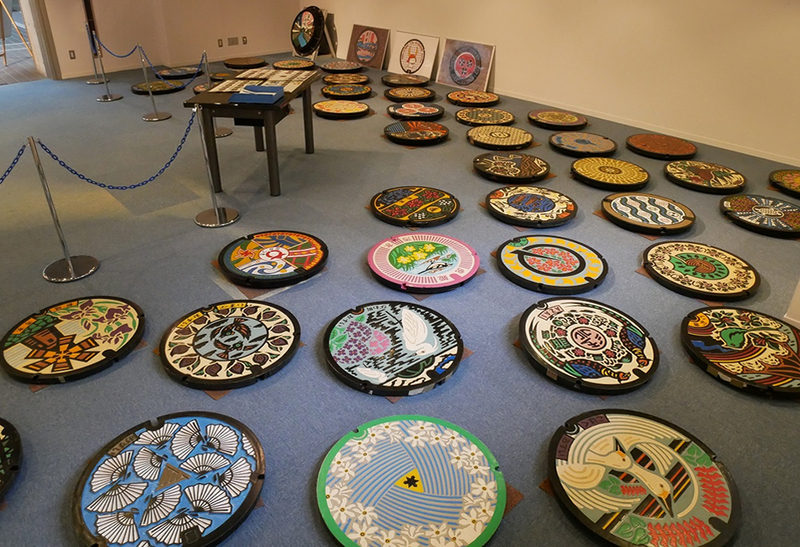 We offer a wide range of information in cooperation with projects organized by the Shiga prefectural government and the national government. 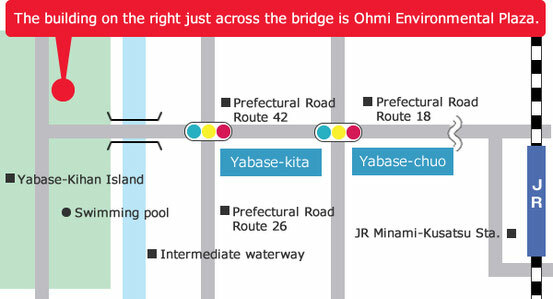 Ohmi Environment Plaza is located on Yabase-Kihan Island, approximately 3 km west of JR Biwako Line Minami-Kusatsu Station. Approximately 1 km west of the Yabase-kita intersection on Prefectural Road Route 26 (Hama-kaido St.). Take a bus for Kusatsu-eki nishiguchi or Kusatsu Sogo Byoin-keiyu Aeon Mall Kusatsu from the West Exit of JR Minami-Kusatsu Station (Minami-Kusatsu-eki nishiguchi stop), get off at Yabase kitaguchi stop, and walk approx. 1 km west. Copyright (C) 2017 Ohmi Environment Conservation Foundation All Rights Reserved.